So that the skin back to its best, pigmentation problems should be addressed thoroughly. Ready to send out your beautiful skin color? 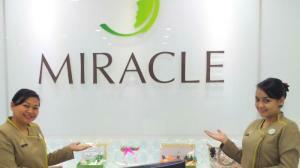 Please visit the Miracle Aesthetic Clinic Batam to overcome all the problems of the skin. Especially at this time of Miracle Aesthetic Clinic Batam are providing attractive promotions for various aesthetic medical treatments.